When you hear the word “bacteria,” you’re likely to shiver in disgust, no doubt picturing some creepy-crawly microorganism that’s responsible for infection. However, not all bacteria are created equal. Few people are aware of the tiny civilization of good bacteria, known as probiotics, that live inside our own digestive tract. They work tirelessly to regulate digestion, support the immune system, and keep us functioning healthy and happy. Unfortunately, there are many foods and illnesses that are responsible for impugning the proper function of these good bacteria. There are many supplements available today that help keep our gut bacteria in tip-top shape, but they are as many and varied as the strains of bacteria that live inside us. It can be confusing to know how to pick a probiotic that’s right for you. Probiotics are forms of good bacteria that can benefit your body in any number of ways. When all is well, good bacteria should make up approximately 90% of your gut. However, factors like poor nutrition, stress, illness, and even other medications can put this ratio out of whack, skewing the numbers in favor of bad bacteria. This can lead to gastrointestinal problems, inflammation in the digestive tract or elsewhere in the body, skin issues like eczema, or a weakened immune system. When these issues occur, supplementing your diet with an added dose of good bacteria can help bring the balance back into harmony. Thus, the purpose of probiotics, whether in food or supplement form, is to increase the amount of good bacteria in the gut. Probiotics can be found from a number of sources, both in foods and as supplements. Their concentration in supplements is much higher, which is an important factor when considering how to pick a probiotic. 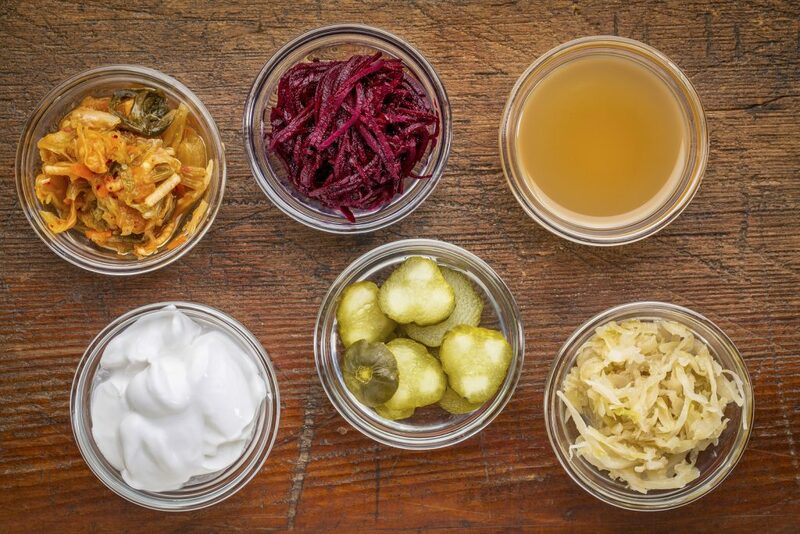 Overall, the best food-sourced probiotics come from fermented foods such as kimchi, sauerkraut, miso, kombucha tea, kefir, and yogurt. These foods are all very accessible in your local grocery or health food stores and pack the strongest punch in terms of good bacteria. Look for labels that say “contains live active cultures” or “contains probiotics”. 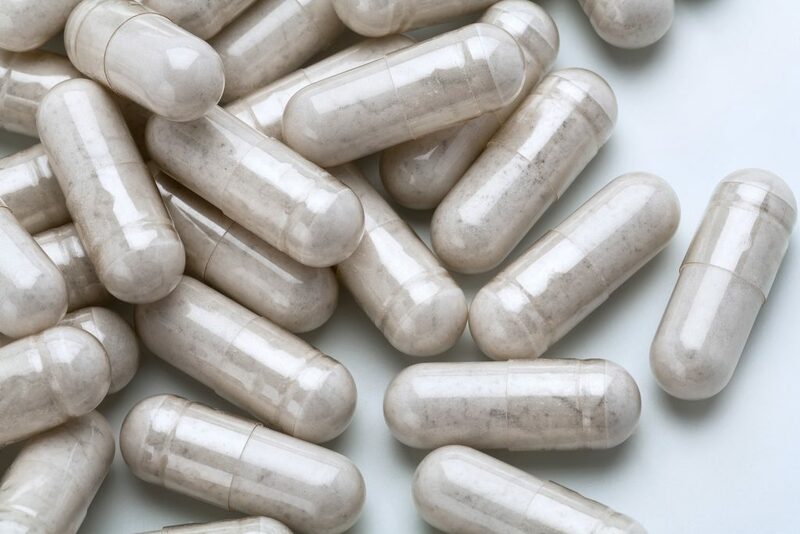 Probiotics in supplement form are much more concentrated, often containing much higher colony-forming units (CFUs) and often offering more than one strain. Diversity in culture strains is important to aiding gut health, as there are many different strains of bacteria found in the gut. Not all probiotics are created equal and some are more appropriate for certain instances than others. When wondering how to pick a probiotic that will achieve the best result for you, it’s important to confer with your doctor. There are many different brands and types of probiotics, but there’s a general rule of thumb you can follow to help you narrow down your options. 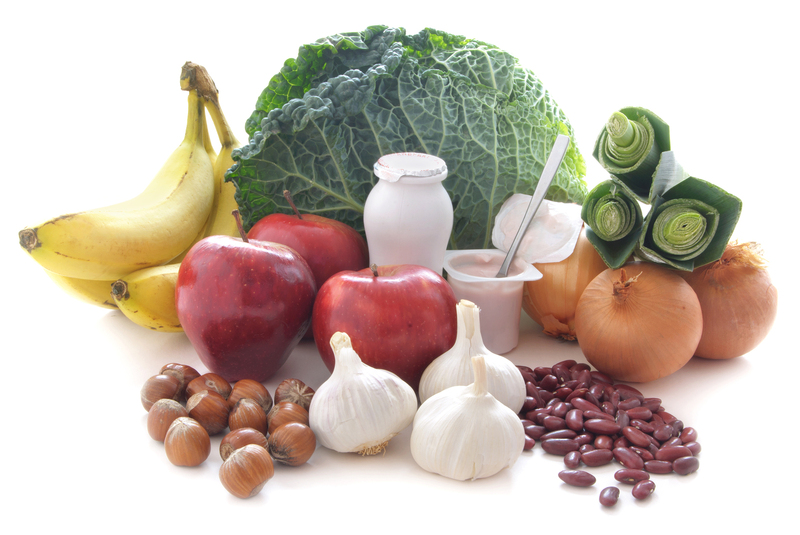 Age – As we age, our gut starts to lose certain strains of probiotics at a faster rate. Many probiotic companies make special formulas specifically benefitting older adults. Stress Level – As mentioned before, high-stress levels breed bad bacteria production and can throw off the microbiome in your gut. If you’re routinely exposed to a high-stress environment, taking a maintenance level probiotic supplement, ranging somewhere between 5-50 billion CFUs. Those with a healthy digestive and immune system who also regularly supplement with probiotic-containing foods can afford to stay lower on the spectrum. However, if you’re trying to prepare yourself for one highly stressful event – a big presentation, a family reunion, or traveling, for example – consider a higher dose of CFU. Diet – There are certain foods that help bad bacteria thrive in your gut such as overly processed and packaged foods, artificial flavorings, and added sugars. If your diet contains a high amount of these types of foods, you’ll want a probiotic with a higher CFU. You should also consider adding probiotic-rich foods into your diet, for example swapping out a soda for a kombucha tea and cutting back on foods that promote the growth of bad bacteria. Weakened Digestive or Immune System – As mentioned in our blog on gut bacteria, 80% of the immune system comes from the gut. If you suffer from digestive or immune issues, bad bacteria in the gut could be to blame. Many probiotic companies also make formulas specifically designed to target these issues. Currently Taking Antibiotics – Antibiotics kill all bacteria in your body, both good and bad. Contrary to popular belief, you can still take a probiotic while you’re on antibiotics. In fact, your body might thank you. Taking a probiotic six hours before or after you take your antibiotic can still provide your body with the benefits and can keep you from suffering any of the negative side effects that come with taking antibiotics. Add saccharomyces boulardii as well since this is resistant to antibiotics. In addition, supplementing with probiotics immediately after finishing your course of antibiotic can help your body recover more quickly. It’s generally recommended to take a high CFU probiotic and Saccharomyces boulardii during or after taking an antibiotic in order to replenish the good bacteria that was lost. Anywhere from 50 to 100 billion CFU is good, though there is some debate as to the effectiveness of a CFU over 50 billion. As with starting any form of new supplement, it’s important to talk with your doctor about how to pick a probiotic. They will likely have further advice to offer and can make specific recommendations based on your specific medical history. Some probiotic strains are more beneficial for those with a lactose intolerance, while others may be better geared towards those who suffer from a weakened immune system. While incorporating a probiotic with diverse strains can be very beneficial, some are more suited to certain situations than others. A functional medicine doctor can help you understand the differences and tell you how to pick a probiotic that’s best for you. Dr. Lorraine Maita is a recognized and award-winning holistic, functional, and anti-aging physician and author. She transforms people’s lives by getting to the root cause of illness using the best of science and nature. Her approach is personalized, precision medicine where you are treated as the unique individual you are. Schedule your visit today!